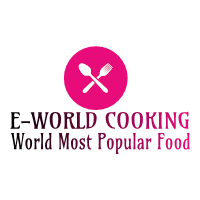 Chicken Spring Roll Recipe ~ E-World Cooking-The World Most Popular Food. 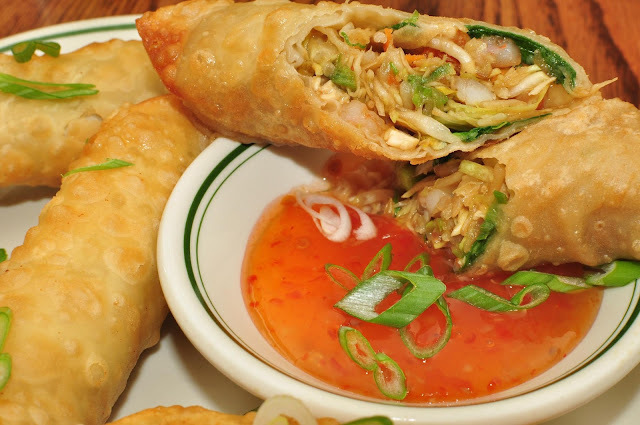 Prepare Chicken spring roll in your own kitchen at restaurant style. To make this authentic crispy spice chicken spring roll mostly use minced chicken and different vegetables. It’s a very popular Chinese snack, I suggest you garnished with chopped spring onion and serve hot with red chili sauce or tomato sauce. Black pepper powder -2 tsp. First of all, prepare the filling for the chicken spring roll. For marination add chicken, black pepper powder, salt as to taste then mix up everything and let the chicken marinate for 10 minutes. After 10 minutes add cooking oil as you need in a preheated frying pan. When the oil is properly heated add grated garlic, use only grated garlic do not use garlic paste. Sauté the garlic for 1 minute and add the marinated chicken. Sauté the chicken properly until it changes its color to white. For chicken spring roll when the chicken has completely turned white in color, add vegetables like julienned carrots, small cabbage julienned and salt just enough for the vegetables. Then add black pepper powder, dark soy sauce, give a good stir, cover and cook until the vegetables are soft. Remove the lid after 5 minutes once the carrot and cabbage have become soft, add julienned capsicum, spring onion, and sugar as to test. Cook for 5-6 minutes over the high flame until all the water from the vegetables and chicken dries up. The sugar will prevent the vegetables from getting overcooked when kept on a high flame. When the water has dried up completely then turn off the flame and transfer the filling into a bowl for cool down. Prepare the chicken spring roll to prepare a pest for sealing the rolls some fresh all-purpose flour and water. Here we use 15-20 spring roll wrappers. You can make it at home or buy from the market. Keep the spring roll sheets covered with a damp kitchen towel. This will prevent them from getting dry. Now take one sheet and keep the other covered. Place one teaspoon of chicken filling one end of the sheet, take a corner and fold it to cover the filling. Smear some maida paste on both sides and fold them. Apply maida paste on the edges and roll again and one spring roll is ready. Follow the similar way make more chicken spring rolls with remaining of the filling.you can also keep these spring rolls in an airtight box and store it in the deep freezer for up to 2 to 3 weeks. When you want to eat just take it out from the freeze then fry in hot oil and serve hot chicken spring rolls. Now heat sufficient oil in a frying pan and deep frying chicken spring rolls .gently dip the spring rolls into hot oil one by one.becarefull oil must be hot but not like smoking hot otherwise the chicken spring rolls will burn. Keeping the flame to low or medium and fry the chicken spring rolls on both sides. When it turns to golden brown take it out in a paper towel it will absorb the excess oil. To follow the similar way fry remaining chicken spring rolls. 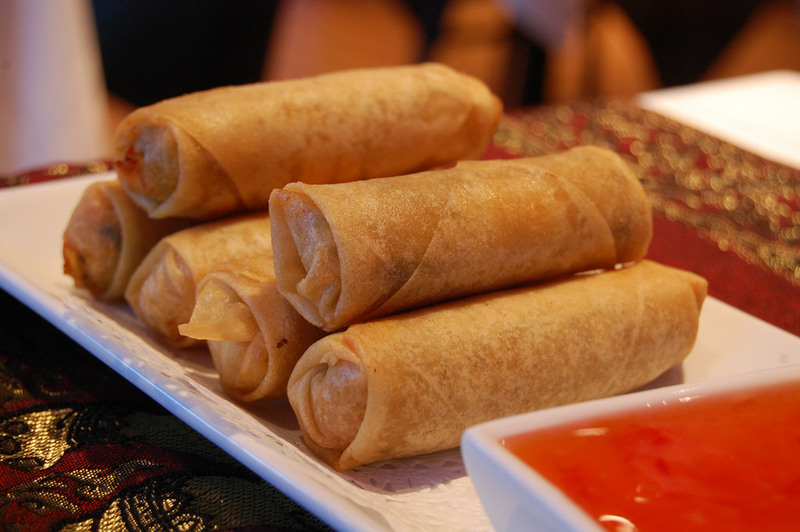 Crispy chicken spring rolls are ready and serve chicken spring rolls with your favorite sauce. It’s one of my favorite snacks. You can try it at your home and update your valuable feedback in my comment section. To get the latest update please subscribe and click on the bell icon, to know more click here.